I'll apologize right away for sending this out twice. I had wanted to attach a coupon from Cabelas but it didn't show up in your letter. So here it is again - with the coupon. It's right above my signature. 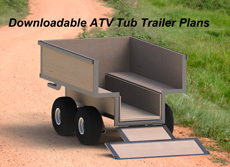 Welcome to this issue of the All About Moose Alerts Ezine. I realized today it's been some time since we've mailed out a newsletter. What better time than at Christmas to send out season well wishes to all. The British Columbia Government is about to launch a study on why the moose populations in BC are declining. There is a lot of speculation as to why the moose numbers are dwindling but so far there is no conclusive proof. "[...]game surveys show drops of between 20 per cent and 70 per cent in sections of B.C.’s Cariboo region alone." The BC study to probe the mystery of dying moose was recently published in the Globe and Mail. We had great response to last years moose photo contest so we'll likely be making it an annual contest. 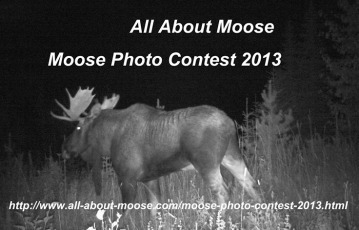 Enter the 2013/14 Moose Photo Contest or just visit the website to see this years entries. As always, we have some great prizes. Be sure to collect your best live moose and moose hunting photos and enter them in this contest. Prize winners for this years contest will be chosen entirely by random. We assign each entry a number, then using random.org choose the winner. Contest Sponsors: Spypoint Trail Cameras, Badlands Backpacks, Golden Needles Embroidery, and All About Moose of course. It's easy to enter... Just share your pictures and tell us about what we see (50 words minimum) Tell us about what is happening or has happened. Everyone loves to see moose photos... share yours! Contest runs until April 30, 2014... With this many prizes to offer, you have good odds for winning this contest. Get your photos in for a chance to win! PPS: Please help us to become the "BEST" moose resource on the web by submitting your stories and sharing your knowledge.